The Economic and Financial Crimes Commission (EFCC) has received more evidence linking former junior Minister for Defence Musiliu Obanikoro, who now is hiding abroad, with the infamous Ekitigate election scandal of June 2014 and the related plot to rig the Osun State gubernatorial election, SaharaReporters has learned. According to our source, the commission obtained financial transaction information and witness testimonies connecting Mr. Obanikoro with a group of companies which received at least N1.45 billion to rig the two governorship elections last year. The N1.45 billion was allegedly funneled into the accounts of five companies, all of which were under the control of Mr. Obanikoro. The evidence of these transactions emerged from EFCC interrogations of ten suspects connected with the $2.1 billion arms scandal involving the Office of the National Security Adviser (ONSA), Sambo Dasuki. It would be recalled that SaharaReporters exclusively published an audio recording by whistleblower Captain Sagir Koli last February revealing Mr. Obanikoro presiding over a meeting on the eve of the Ekiti election that was called to discuss how to ensure the victory of the candidate of the Peoples Democratic Party, Ayo Fayose. In addition to both men at the meeting were the Osun State governorship candidate, Iyiola Omisore; the Minister for Police Affairs, Jelili Adesiyan; and Brigadier General Aliyu Momoh of the Nigerian Army. In a report last week, The Nation newspaper said it was told by a source that massive amounts of money were moved from the Federal Government to an “ex-Minister” to rig the Ekiti and Osun State governor contests. SaharaReporters has confirmed that the former minister in reference is Mr. Obanikoro. According to the source, who quoted by the newspaper, “The huge funds were paid into the accounts of the ex-Minister for elections in the two states,” and “some military and security personnel were to benefit from the slush funds” were shortchanged. Mr. Obanikoro is currently thought to be hiding out in the United States. Sources speaking with a SaharaReporters correspondent disclosed that agents of the Department of State Security recently intercepted several calls between a panicky Mr. Obanikoro and the former Senate President, David Mark, in which the former Minister pleaded for assistance from Mr. Mark regarding his forthcoming legal problems. The same sources said that Mr. Obanikoro fears extradition if he remains where he is hiding and is therefore trying to “eliminate” the prospects of legal proceedings against him in Nigeria. One of the suspects interrogated by the EFCC is an official of the ONSA who confirmed that the funds were transferred to the five companies at the behest of a former Accountant-General. According to reports and SaharaReporters’ investigations, the companies controlled by Mr. Obanikoro which received the deposits included: Stellavera Dev Company (N300m), First Aralac Global Limited (N300m), First Aralac Global Limited (N100m), Damaris Mode (N300m), Stellavera Dev Company (N200m), and Whese Farms Ltd (N250m). The funds were used either to influence the elections in Ekiti and Osun States or simply laundered, or were earmarked for the 2015 presidential elections. 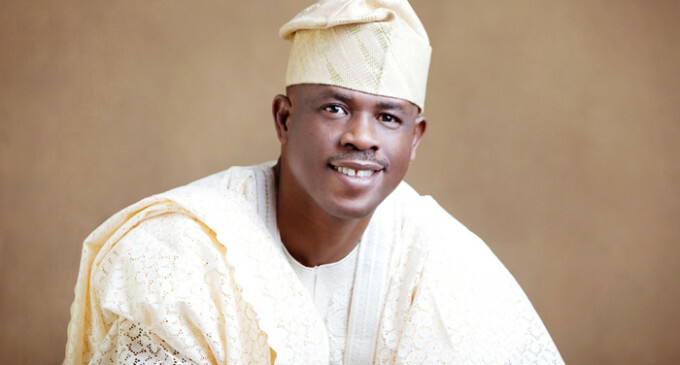 Efforts by Mr. Obanikoro to quash the EFCC’s investigation from the United States have reportedly failed so far.